I am writing you today to update you on the PC Party’s actions regarding wind farms. 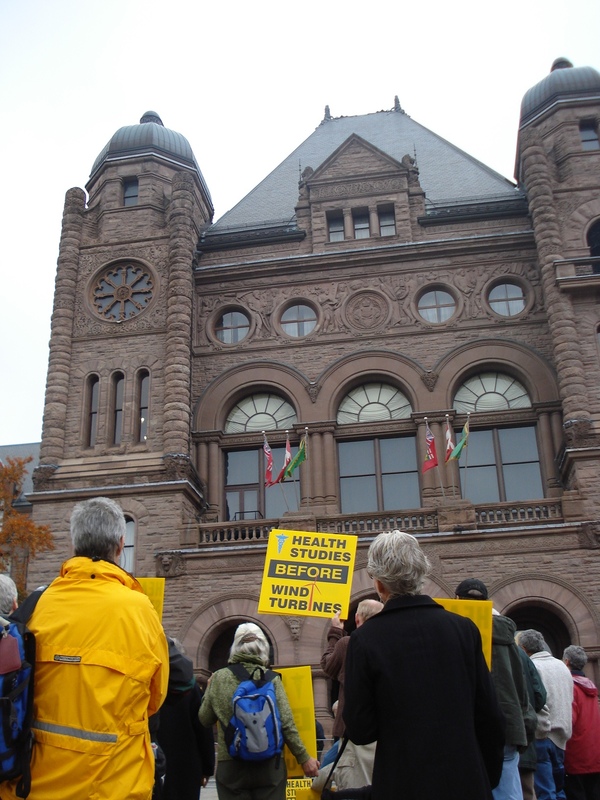 On Wednesday, April 28, the PC Caucus will introduce a motion in Queen’s Park asking the government to impose a moratorium on all wind farm projects until an independent, comprehensive study of the health and environmental impacts of wind farms has been completed. The motion will also ask the government to restore planning authority for these projects to municipalities and local residents, where they belong. I invite you to come down to the Legislature next Wednesday and observe the debates on our motion. Demonstrate support for this motion in the House on April 28th by attending and sharing your concerns! Your presence there will help send a message to Dalton McGuinty. The following is the text of the motion that will presented:That the Legislative Assembly of Ontario calls for a moratorium on all wind farm projects until an independent, comprehensive study of the health and environmental impacts of wind farms is completed and Premier McGuinty restores the planning authority governing them to municipalities and local boards. Addressed to the Premier. To be debated on Wednesday, April 28, 2010. The public gallery is filled on a first come-first served basis, so it is important that folks get to the gallery early enough to ensure seating. Routine Proceedings begin at 3pm. A protest has been organized for the front lawn of the Legislature at 11am. I hope you can make it to the Legislature on Wednesday April 28 in support of our motion. Posted on April 22, 2010, in Green Energy Act, Health, Media, Ministry of Environment, Take Action, Wind Project Proposals. Bookmark the permalink. Leave a comment.